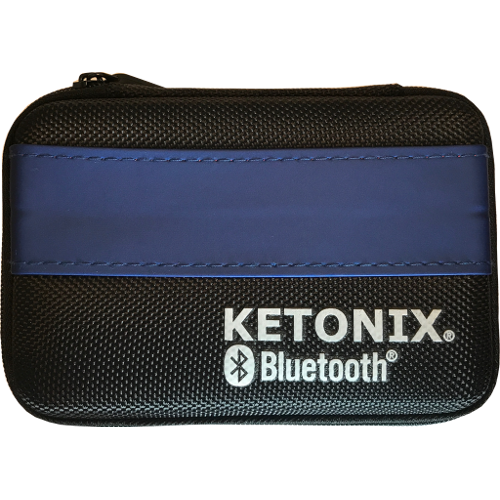 Note: Current software is only available for macOS desktop app and mobile devices like smartphones and tablets running iOS or Android supporting Bluetooth 4.0 LE. 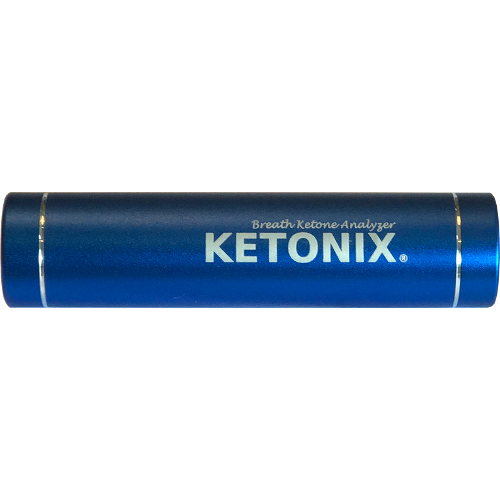 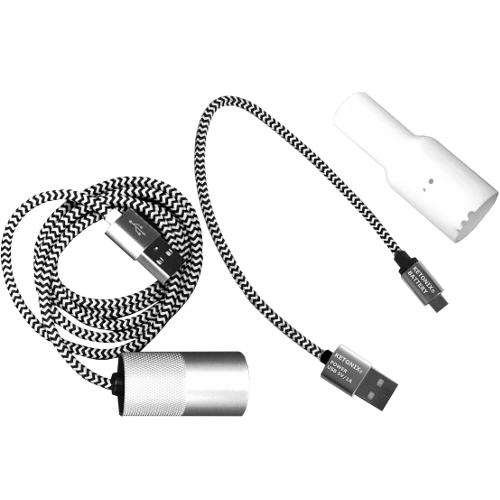 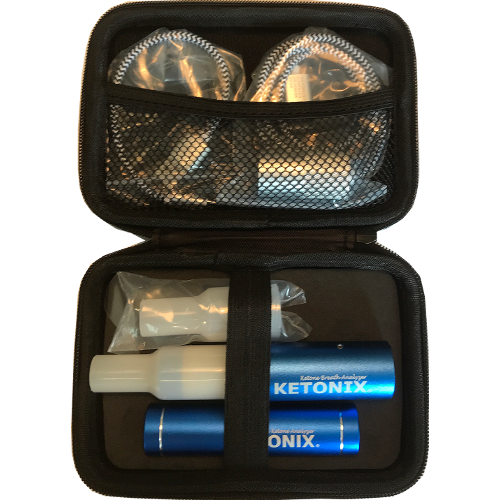 Ketonix® Bluetooth®, Ketonix Battery, USB Cable, Cable to charge the battery, an extra mouthpiece, a manual and a perfect KETONIX zipper etui. 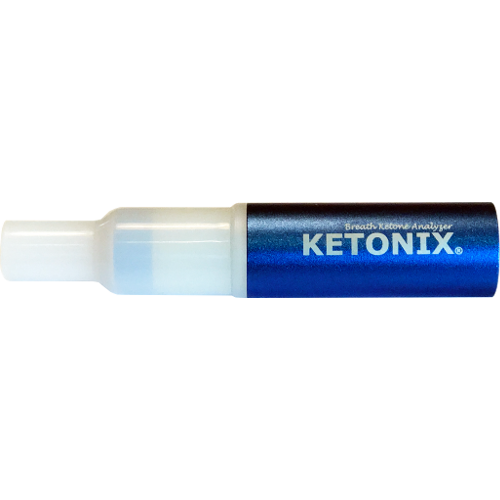 You still need to check your glucose. 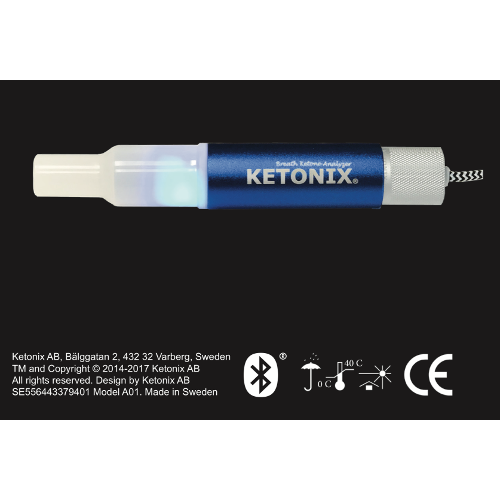 This device is a complement but does not replace your glucose or beta-hydroxybutyrate measuring devices.